Today, at 6 pm, the Sisters of Charity will join members of the community at W. 231 Street and Kingsbridge Avenue in the Bronx to protest the Administration’s inhumane policy of removing children from their parents at the U.S–Mexico border. 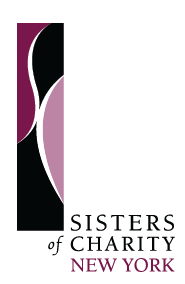 The Sisters invite all to come together to share their thoughts, feelings, and plans for action. “Bring signs, talk to neighbors.” This vigil is co-sponsored by the Sisters of Charity of New York and by N. Bronx Racial Justice. I live half way across the country but will be with you in spirit! Thank you for your voice that speaks from the Gospel! Thank you, dear Sisters of Charity, for having this vigil and for speaking out against this horrific injustice. I wish I could join you. I cannot but I can speak out, call my representatives and friends and condemn this horror being perpetrated against children and families. My heart is with all these parents — seeking asylum in this country — and being violated in this way. The current Trump administration is evil. Every person should be condemning this immoral act. The Church leadership — in every parish in the nation — should be condemning and acting against this cruelty. Thank you, dear Sisters of Charity, for having this vigil and for speaking out against this horrific injustice. I wish I could join you. I cannot but I can speak out, call my representatives and friends and condemn this horror being perpetrated against children and families. My heart is with all these parents — seeking asylum in this country — and being violated in this way. stop this horrible abuse. My heart is with the parents and I feel their pain being violated. With you in spirit, dear sisters, from across the Atlantic. I remember when my teachers, Sisters of Charity, marched for civil rights in Harlem in 1965. Thanks for how you have expressed my anger and anguish at our nation’s policies. I cannot be in the Bronx, but will call my Congressional representative tomorrow in solidarity with you. Though the rally was more than two weeks later, just want to say that we still need to keep alert to what is happening and to raise up the truth and tell the stories. On Monday, I was part of a women of faith group from New Sanctuary Coalition NYC representing a mother of two who is in sanctuary. If she reported to ICE directly she risked deportation. We brought with us all her papers and information that ICE required with a statement of her giving permission to do this. We were not allowed to leave the papers with an ICE staff person or her ICE contact. The system, structure, procedures and practices lack transparency, compassion, justice and truthtelling. We all need to be awake and stand up for truth, justice, respect and compassion.